I have my own place now but it’s still quite empty. I spent 20k on an initial renovation but that’s mostly air conditioning, fans, concealed piping and wiring, and kitchen cabinets. The apartment was completely empty when I bought it. Even now, the only fully furnished area is the kitchen. I’m actually okay with that coz I spend most of the time in the bedroom and I never felt the need to clutter my surroundings with stuff. However, I have recently got into slowly upgrading things around the house. My minimalist goals were slowly eroded by practicality and the fact that I live above a mall so I tend to pop into this cheap DIY shop to look around. I have accumulated stuff, necessary stuff, but stuff nonetheless. It was a rail for my bath towel at first. Then came the small hook for a face towel beside the bathroom sink coz I thought it’ll look nice. Then a holder for my shaver, toothpaste, toothbrush, deodorant, floss. You know how it is. It’s gotten to the point where I’m actively looking for new things to add to my place. I won’t say it’s a bad thing, doing this gradually over a year has actually become quite pleasant and I must admit I feel a mild consumerist rush when I install something new in my condo. It’s quite fun. 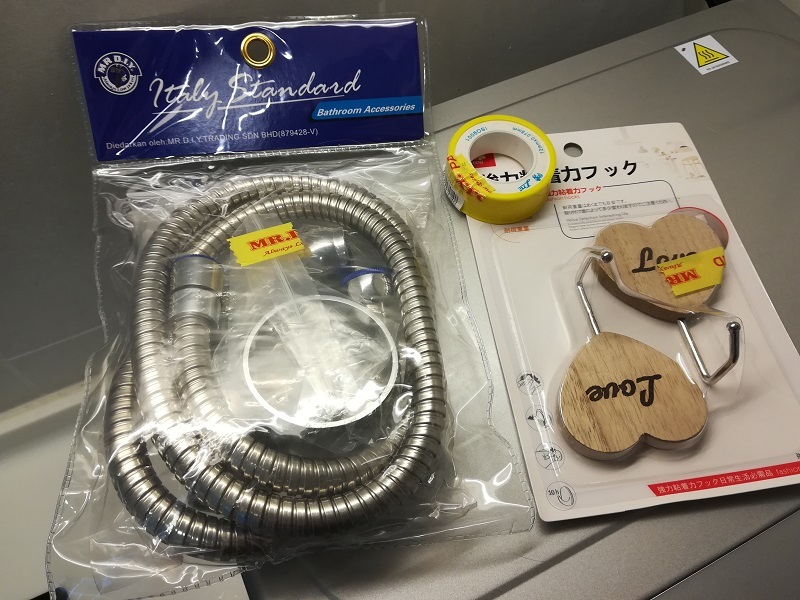 Today I bought small wooden hooks for my car keys and house keys as well as a bidet. I don’t have a bidet but I have a tap beside my toilet. This one only cost RM 16 or so. 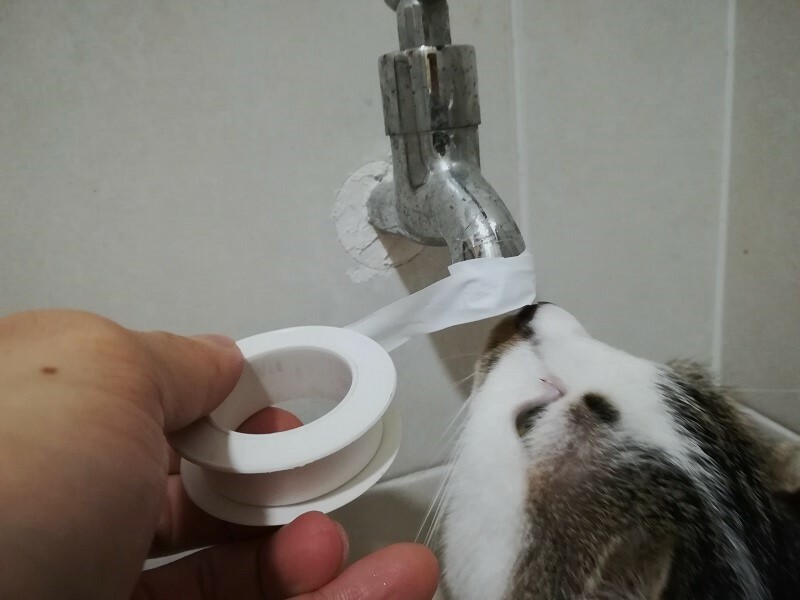 I was told I can just install it without any tools but the guy told me to buy these adhesive thing so the bidet won’t leak. I put everything together as per instructions and it works fine but the top part is leaking. 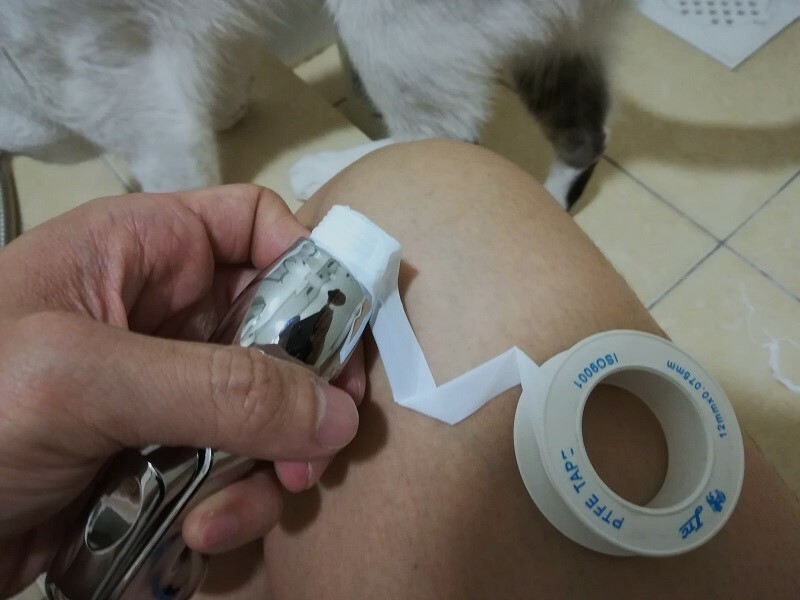 Not where the tape is, it’s the bit where the connecting hose comes out so I suspect it’s defective. I’ll go and change it tomorrow. I’m pretty happy with the hooks though. I’ve always put my keys on top of my fridge, but I thought it’ll be nice to hang it beside the main door instead. I know these are simple and basic things but doing a small project like this every few days makes me happy. Yup! It’s fun to slowly do up the house instead of doing it in one shot. Very satisfying to add little bits and see it grow. I got some washers for the bidet thingy. It should be ok with an additional washer.. I see! Where did you get the washer? I think it’ll make it leak less. Yes, simple things make us happy. 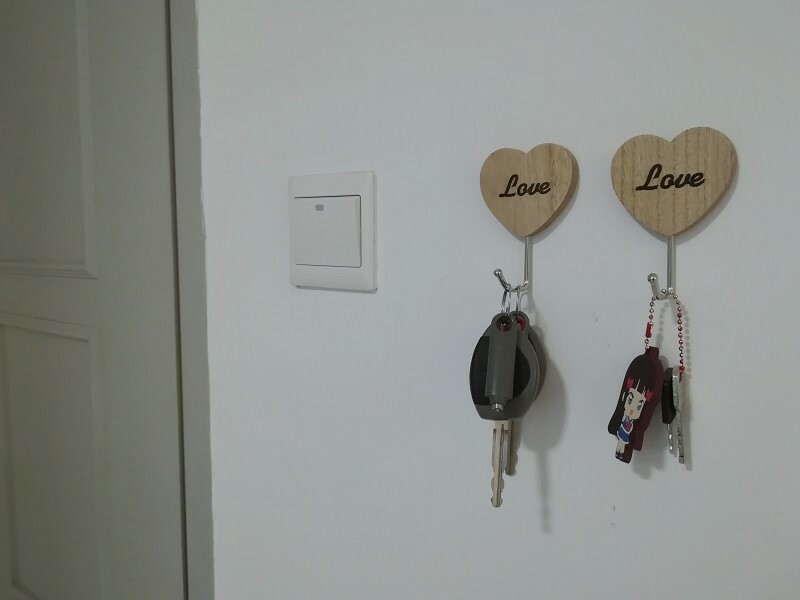 I like your key hooks, look very nice and chic. Indeed! Adding stuff is surprisingly fun. Yup, they’re really cheap too. RM 4.90 or something like that for 1. My tenant has moved out and I have been visiting Mr DIY like you to get things fixed & repaired. I see! It’s the best place to get stuff. Revolutionary! So cheap.